Foodstirs Modern Baking, the most sustainable organic baking mix brand modernizing the industry, proudly announces that all three of its bake-your-own Organic chewy oat bar mixes have been certified by The Detox Project as Glyphosate Residue-Free. Additionally, the remaining portfolio of Foodstirs products are currently being tested to ensure their entire line of products receive this groundbreaking certification. 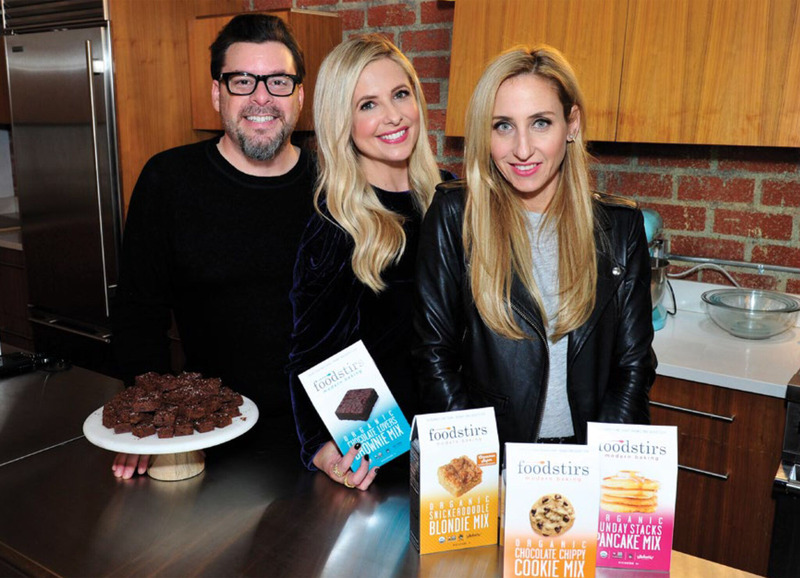 Based in Santa Monica, CA, Foodstirs was co-founded by entrepreneurs Galit Laibow, Greg Fleishman and actress & author Sarah Michelle Gellar behind the sole purpose of helping people connect through the power of Elevated Comfort Food. Foodstirs is starting with the baking category and our organic/non-GMO products that are superior on every level. Everything we make is based on four core principles: ultra-sustainability, ease of preparation, accessibly priced and delicious from-scratch taste. And, we are committed to direct-sourcing regenerative ingredients that utilize planet-healing agricultural methods like Biodynamic® and identity-preserved. Foodstirs is going beyond classic baking formats with the launches of the first ever Organic Minute Mug Cakes and Bake Your Own Organic Chewy Oat Bars and Organic Protein Bars (a Top 5 New Item at 2018 Natural Products Expo West). Our products are sold nationwide online and in over 15,000 retail stores that include Starbucks, Whole Foods Market, Sprouts, Target, Kroger, Safeway, Amazon and many more. Yay! I am ecstatic about what you’re doing. I’ve been telling people for years about glyphosate and was appauled to find out even the organic food I eat has it in it. I plan to get tested. This is awesome news! I hope it launches a whole new concept in food certification that will cause consumers to demand that other food companies confirm that their products are glyphosate free!